My Little Plumcake is looking for fresh faces for our pattern testing! We’ve had some great testers in the past, but would like some fresh eyes & talent added to the mix. 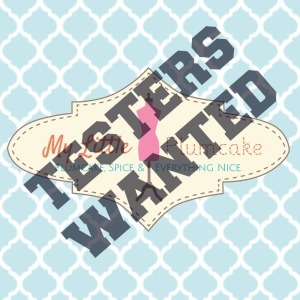 Although we will not be having open testing calls in the future for each individual pattern, we would like to create a base group of testers that have fairly open availability and a desire to help make My Little Plumcake better and better. We are open to all experience levels and talents. We just need to know where you honestly fall. There’s no need to impress us… we already think you’re the bee’s knees! Have fairly open availability. We will give as much notice as we can in advance, but in some cases you may only receive a day or two of advance notice before you will need to begin testing (testing duration starts at one week in MOST cases). You will not be expected to test EVERY pattern, but as many as you are able. Be able to give constructive feedback. Everyone LIKES to hear “you’re fabulous” but that’s not what we NEED to hear from our testers. We need information that will help to make a quality product. Don’t throw out any downright nastiness, though. That’s just not going to make friends and everyone likes friends. Keep a certain amount of hush hush. This is all about integrity. Please do not share any information with others about the pattern unless you are given the OK. We’re pretty laid back about it, but you’ll be given the DOs and DON’Ts at the beginning of each test. Have the ability to complete the project by the deadline. If you are unable to complete a test, we need to be given notice within one or two days of testing, if possible. We will need to find someone to replace you for that test and that person will have less time to complete it as a result. Emergencies come up and we realize this, but “I totally forgot that I had a cookie to eat” is just not gonna make us happy dance if you know what I mean. Be able to make the pattern AS WRITTEN! You will be tempted to add a little here, take a little away there, but please don’t. We need to know how the pattern works as it is spelled out in the tutorial. All patterns from here on out will go through a pre-testing phase, so by the time it reaches you, most of the kinks should be worked out. With that said, no one likes to “waste” pretty fabrics (heck, I don’t), so we are 100% ok with you using “throw away” fabric for a test and then making another garment if you wish with the corrected pattern. I’ve found that thrift stores sell inexpensive fabric. Old sheets work well and certain large chain all-purpose stores (wink wink) sell fabrics for as low as $1 a yard on clearance. We just need a clear test of the product we’re releasing. Take helpful photographs. We really just need you to be able to take clear pictures in natural light showing the fit of the garment. Feel free to make things fancy and fun if you wish…we love to see it, but it’s NOT a requirement. Professional photography does not increase or lessen your worth as a tester. If you read this and said “Oh yeah, baby, I got this!”, then please fill out the tester application HERE. We’ll be closing applications on Saturday, January 11, 2014 and making our selections shortly thereafter. Also, previous My Little Plumcake testers are not guaranteed a spot in our new group. We have loved EVERY ONE of our past testers, but we really do need some fresh faces as well. Please do not take offense if you’re not chosen this time around. It’s not personal nor is it “punishment” for anything you think you may have said or done. That’s just not the case. We appreciate every one of you! I just filled out my response! I love your patterns! 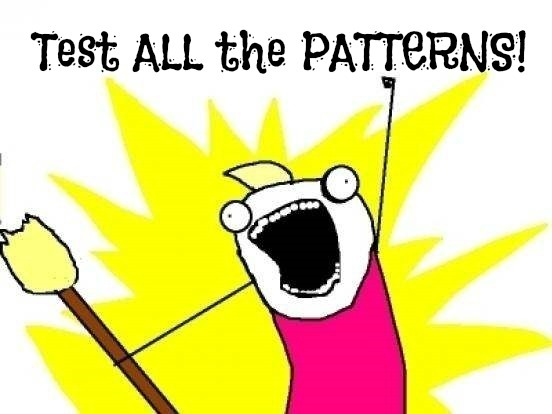 I would love to test a boys or girls pattern. I have two available photographers. Hey Admin do you want unlimited articles for your blog? 100% unique and human readable.